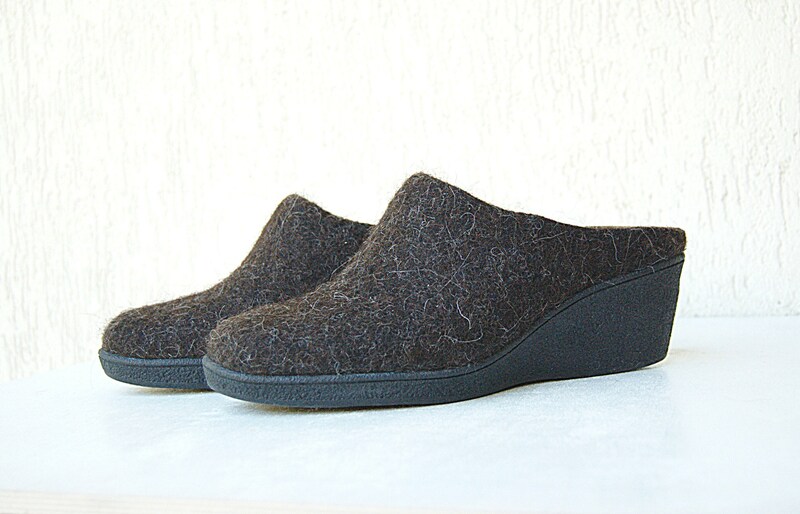 These closed toe mules are made from natural wool. 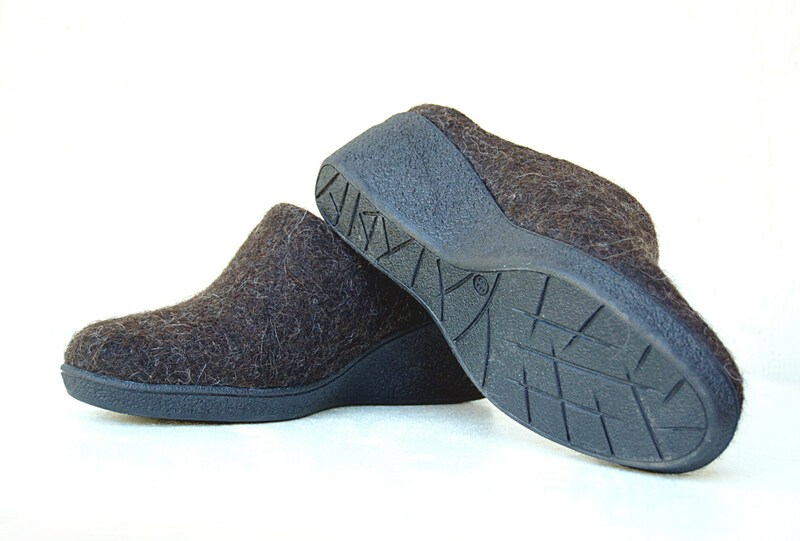 If you ever have cold feet -- try them, you will forget what that even meant! 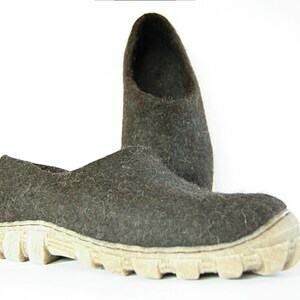 Easy to put on and comfortable every time you wear them. 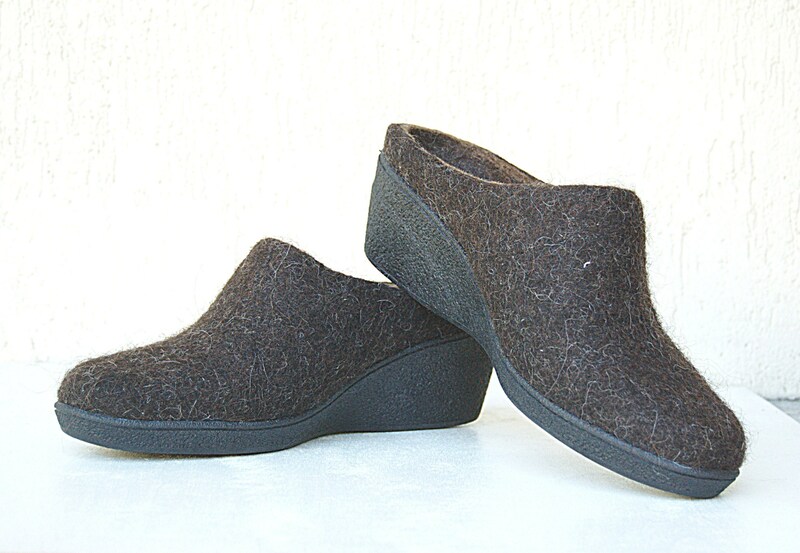 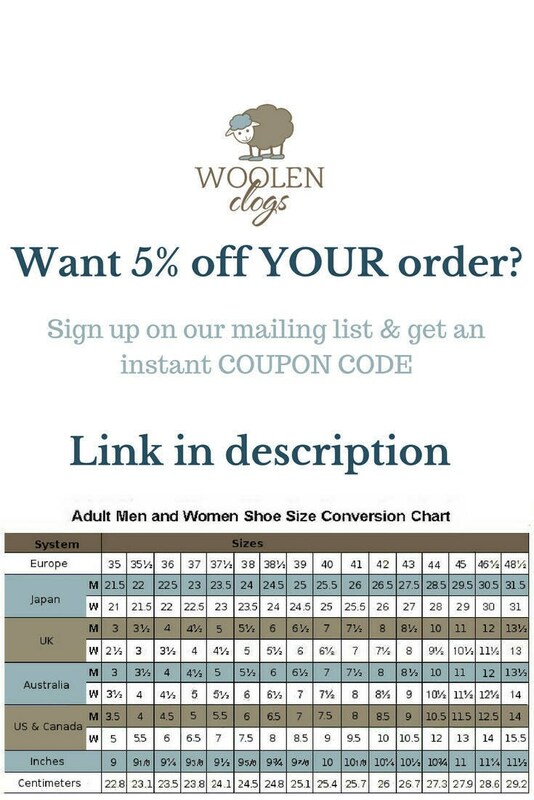 Your feet will look stylish and stay warm in your Woolenclogs. 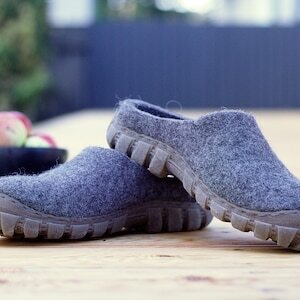 We source our wool only from European eco sheep farms so no cruelty or chemicals are involved. 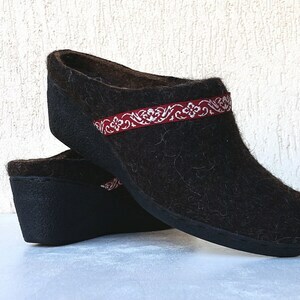 The shoes are felted using only water and natural olive oil soap. 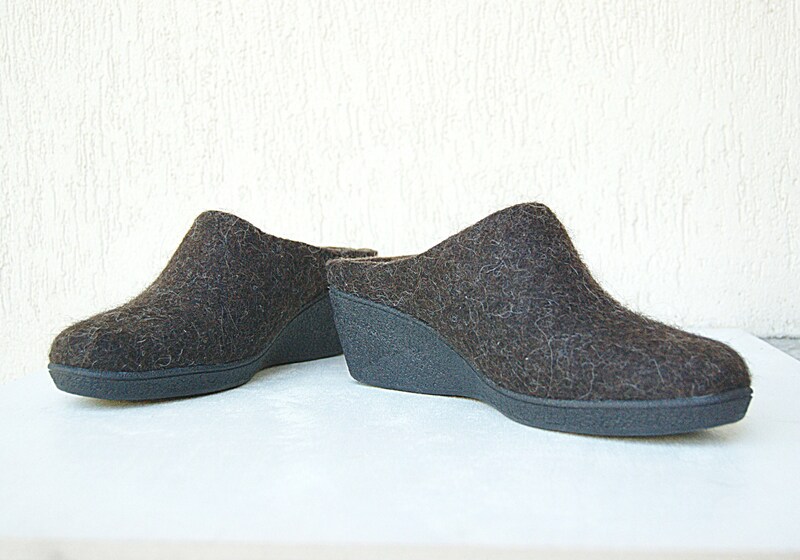 The heel is 6cm/2.3" and the platform 1.5 cm/0.6".